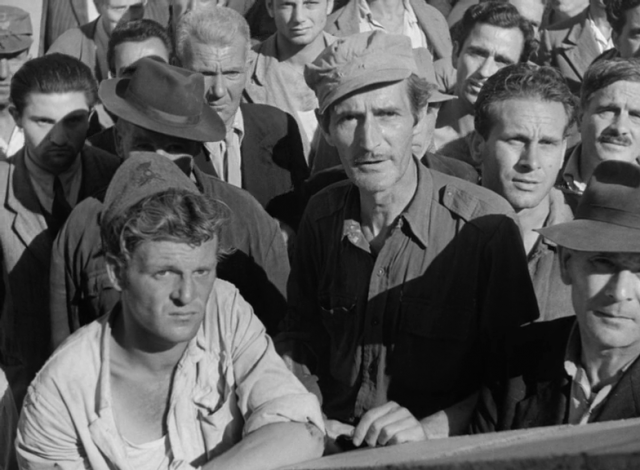 A crowd forms in front of a government employment agency, as it does every day, waiting – often in vain – for job announcements. 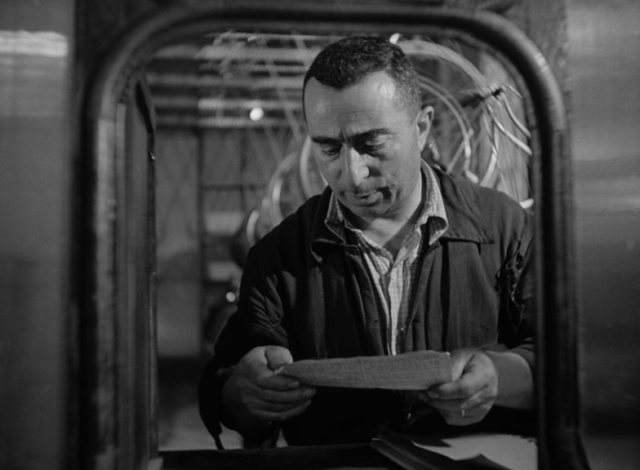 Antonio Ricci (Lamberto Maggiorani), one of the unemployed laborers who participates in this daily ritual, is selected to hang posters in the city, a job requiring a bicycle, which he has long sold in order to sustain his family’s meager existence for a few more days. He and his wife, Maria (Lianella Carell), return to the pawn shop with a few remaining possessions, their matrimonial linen, in order to redeem the bicycle. 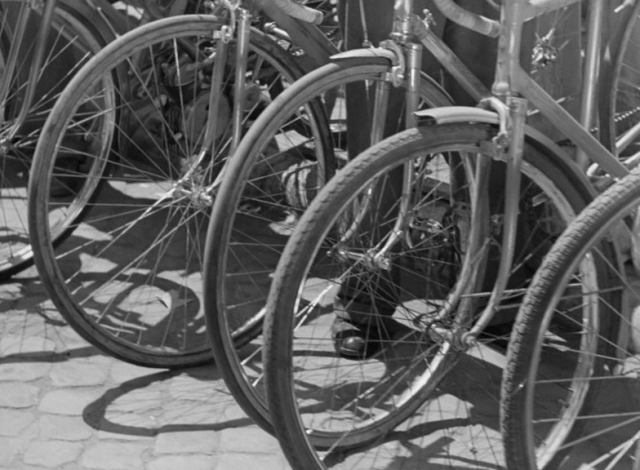 During his first day at his new work, his bicycle is stolen. 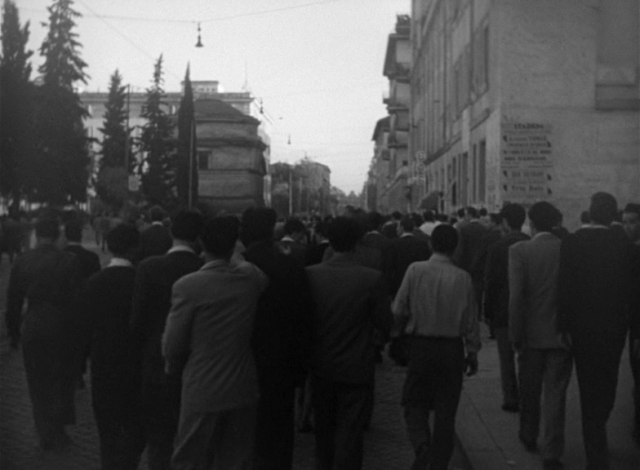 He combs the city with his young son, Bruno (Enzo Staiola), in search of the elusive bicycle. 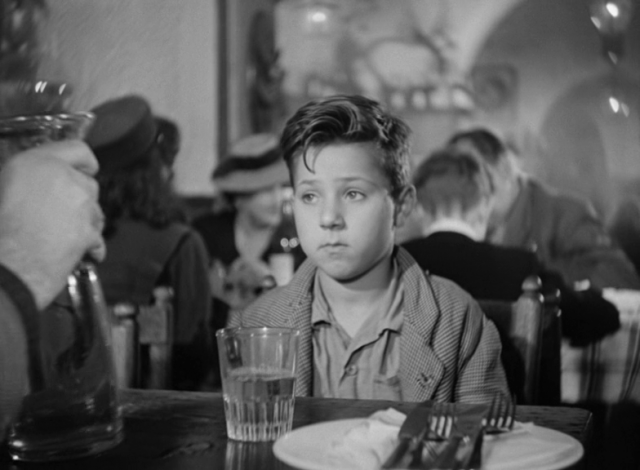 Within this unremarkable premise lies the pure eloquence and profoundly affecting story of Vittorio De Sica’s Bicycle Thieves. 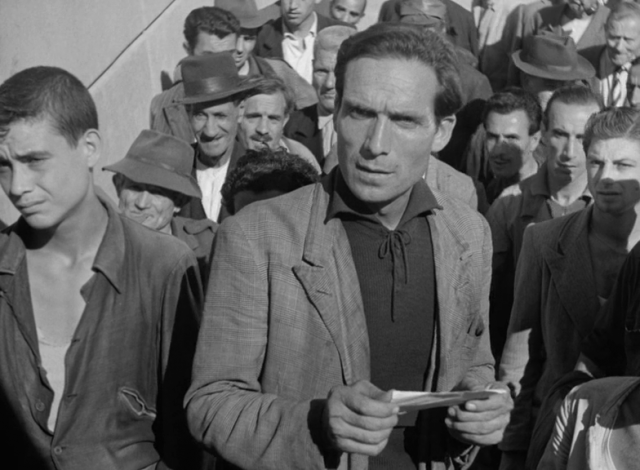 Filmed in the ravages of postwar Italy, Bicycle Thieves is a searing allegory of the human condition, a caustic narrative of despair and hope, loss and redemption, poignantly told in subtle actions and spare words. A singular camera shot follows an employee climbing several stories of pawned linen in order to store another acquisition. A panning film sequence in a restaurant juxtaposes the father and son “feasting” on bread and mozzarella with an affluent family dining nearby. 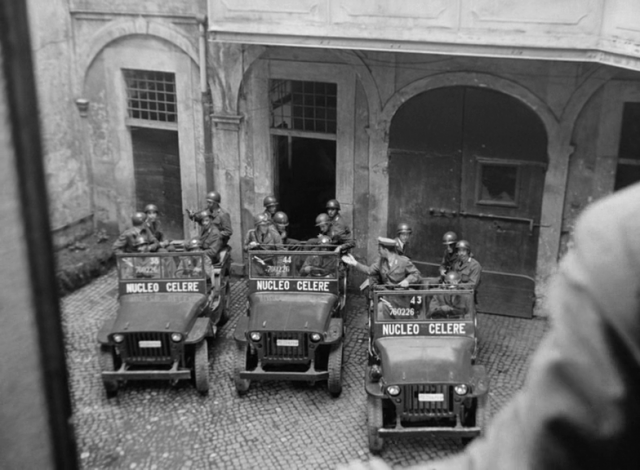 A long, traveling shot of a street bazaar shows Antonio and Bruno searching through an endless sea of nondescript bicycles, all presumably stolen. 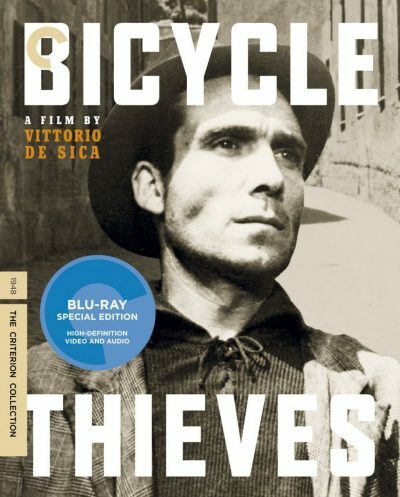 Bicycle Thieves is an honest examination of a soul torn by responsibility and moral consequence, a simple man incapable of articulating his pain, a film devoid of the proselytizing tirades endemic to the rose-colored lenses of contemporary Hollywood. 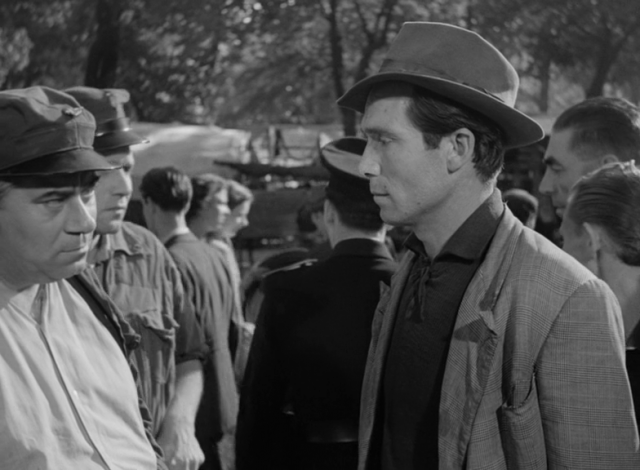 Bicycle Thieves is the story of humanity, in all its imperfect beauty and heartbreaking cruelty, the quintessential definition of an artistic masterpiece… truly a cinematic landmark.